TORONTO—The world can be found on the streets of Toronto—half it’s citizens were born in another country and represent nearly every race and creed. For those who vie in elections to make decisions for the masses, understanding the cultures of this city is imperative. On Jan.23, Shen Yun Performing Arts gave several elected officials, past and present, insight into the roots of Chinese culture, in a performance many described as beautiful and insightful. “I was so impressed,” said Yuri Shymko, president of the International Council in Support of Ukraine, and formerly an MP, MPP (Ontario) and president of the Ukrainian World Congress. He came to see Shen Yun twice this year, once on Thursday and then again Friday with his two daughters. “I wish [Shen Yun] would stay here for an entire month so that all of Toronto could see the performance. Just amazing,” he said. 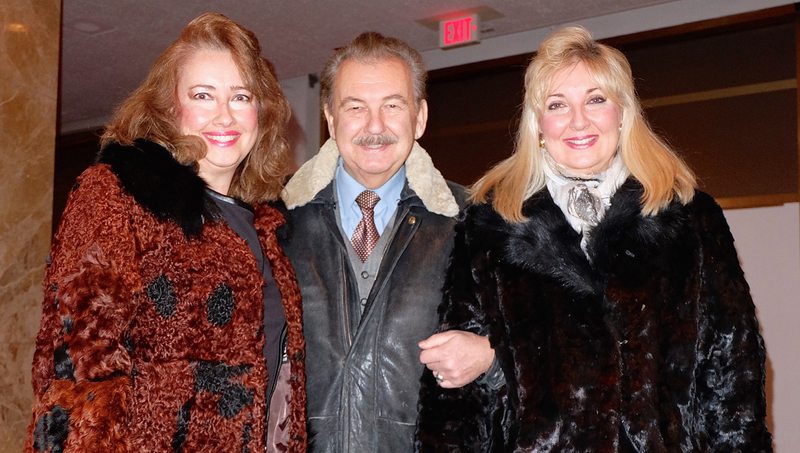 Yuri Shymko brought his two daughters, Natalie Shymko (L) and Lisa Shymko to see Shen Yun after coming the previous night and being deeply impressed. For thousands of years China was the most advanced civilization in the world, with a culture steeped in spirituality. It carried a heritage of three religions and a society imbued with principles of reverence for the divine, propriety, justice, and filial piety. There was a belief that good and evil had consequences, and retribution was a divine consequence for wrongdoing. These values are woven throughout Shen Yun’s performance, something former city councillor and MPP John Parker said he valued immensely. Each year it’s fresh and it’s bright and it’s lively. Each year is fabulous. “That’s a very important part of it—the spirituality of the themes. And the spirituality that has its origins in the traditions that go back for many, many years,” he said. 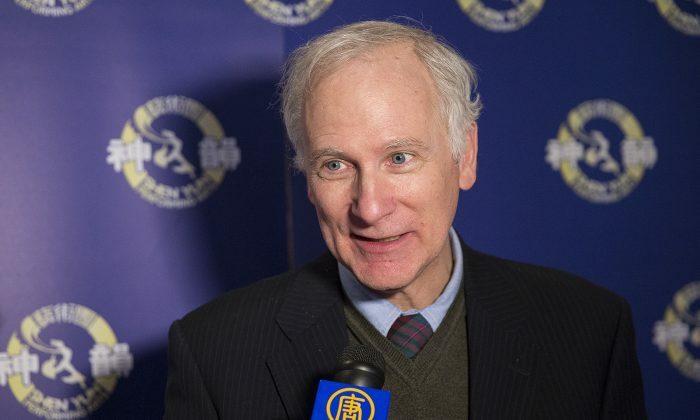 Despite coming to Shen Yun for many years, Mr. Parker said it continues to be an education for him. 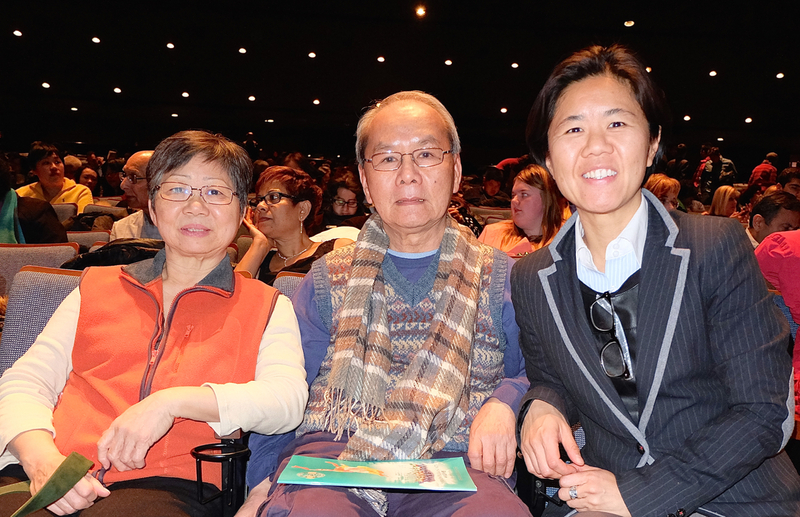 Toronto city councillor Kristyn Wong-Tam brought her parents to see Shen Yun on the evening of Jan. 22, 2015, at Toronto’s Sony Centre. Among the many ancient nations in the world, only China’s has managed to record and pass down a documented history for 5,000 years—continuous records, without interruption, even when the country was conquered by foreign peoples. Toronto city councillor Kristyn Wong-Tam has studied some of it. For her, the connection to traditional China is closer to home. Born in Hong Kong to a Buddhist family, she came to Canada in 1975, when she was only 4 years old. “I would like to learn more about Chinese culture, dance, and music, so for me it’s a real treat,” she said. She read a great deal and studied 16th and 17th century Chinese and Japanese culture in university, where her study of Chinese culture was through literature and poetry. She knows better than many about the longevity of that culture. “Not too many cultures can claim that they have been around for 5,000 years,” said Ms. Wong-Tam. 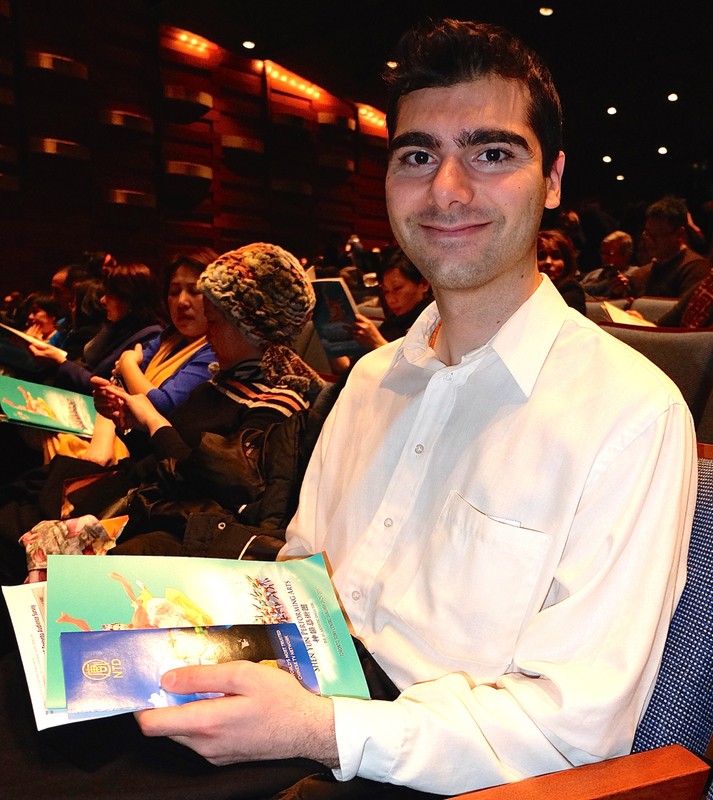 Shen Yun was an education for Torontonians that they seemed eager to partake in, according to former school board trustee Harout Manougian. Shen Yun draws on a wealth of Chinese myths, legends, and historical tales from China’s unparalleled historical record. All of the officials at the performance said it gave them insight into China and its people. Former school board trustee Harout Manougian said that insight was valuable in a cosmopolitan city like Toronto, with its different communities and cultural groups from around the world. Shen Yun was an education, he said, and he enjoyed seeing the chronology from ancient times to modern day, as well as China’s diverse ethnicities and eras. “It’s a packed house so you can see it’s something that the people of Toronto are very happy we have in our city,” said Mr. Manougian. Mr. Parker had some thoughts on why that is. “Each year it’s fresh and it’s bright and it’s lively. Each year is fabulous—to think that they work up a new show each year with new sets, new costumes, new routines and new stories is just inspiring,” said Mr. Parker.